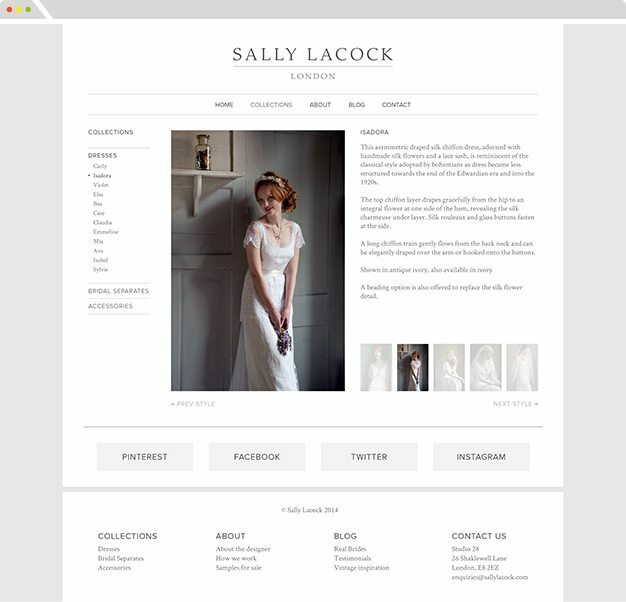 The London-based designer Sally Lacock is well known for her uniquely beautiful wedding dresses. When Go Up were summoned to create a website for her, we knew that it should be reflective of her exquisite take on a classic form. Sally provided us with a huge range of stunning photographs for this web design and development project. 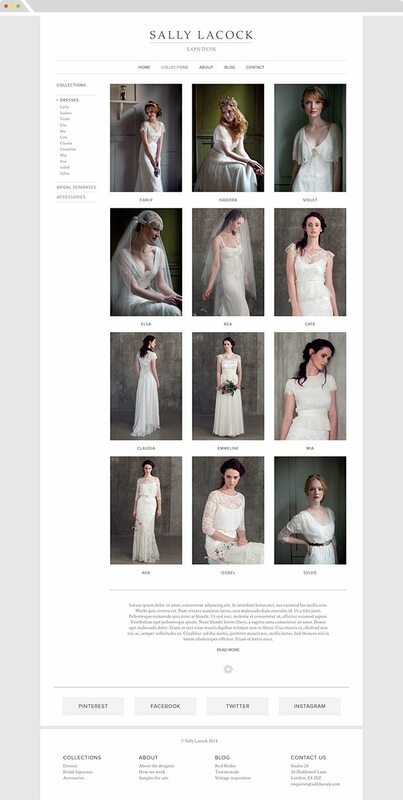 With each photo being so boldly evocative and containing such complex patterns, we knew it would be easy to overcomplicate the site layout. Our approach to this particular website design was an exercise in restraint, so that we could make the most of each wonderful image.